The stock market ended up slightly mixed on the last week. Federal Reserve announced a hike of interest rates, which was no surprise and Trump approved the tariffs on China that have resulted in heavy trading on Friday. 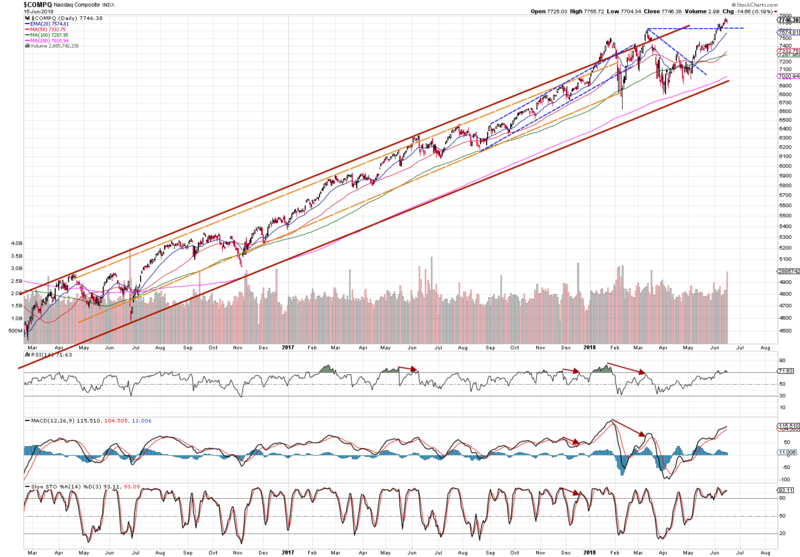 The indexes have recorded a super heavy trading volume last time seen 3 months ago. Such a spike in volume usually indicates a change of current trend. Thus, it is crucial to be focused on possible consolidation in the following days. Let’s see how this week’s market review treats individual indices. S&P has reached its resistance level last week and is very likely to trade sideways meeting the 20 EMA. This resistance (blue line) must be broken to enable the index to rise again. The index seems like trending again. However, it is likely to decrease to 50 SMA in upcoming days. 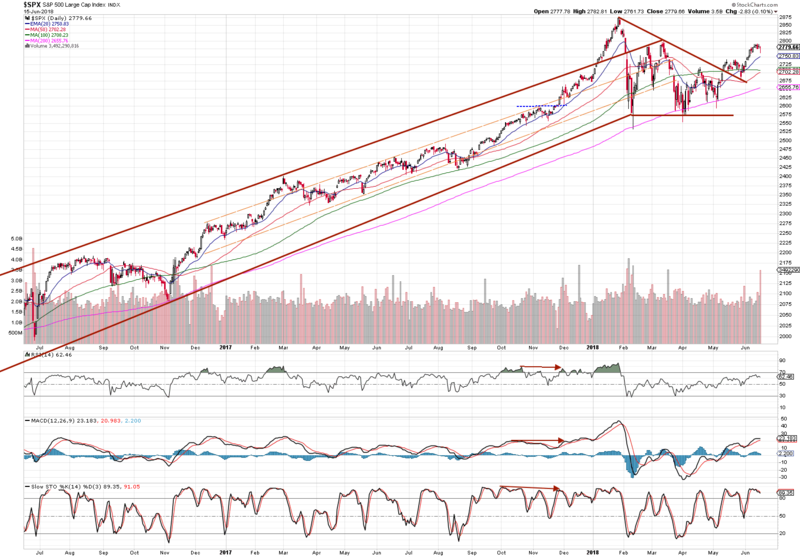 Nasdaq has completed a Flag Pattern and then has swung up. We’ve spotted this early enough and now is time to take profits, because current uncertainties will likely lead to consolidation. 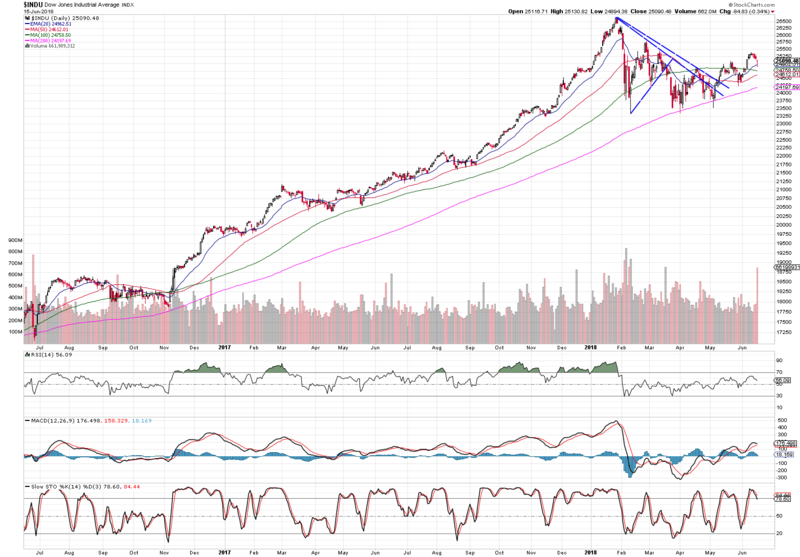 The index needs to meet at least the 20 EMA before rising again. If this support level (blue horizontal dashed line) is broken, further decreases are going to be in place. The FTSE100 is sitting on its support level. Current consolidation will maybe form a pattern. At the moment it is still unclear what exactly it may be. The financial markets are still in an upward trend in long-term. Getting into rights stocks can provide significant future profits for investors.